Amazon, Bing and Google Ads (formerly AdWords) all implemented notable changes to their offerings in 2018. This is the nature of the beast. With each new year comes a variety of industry alterations that force advertisers to reassess their strategies and adapt to the newly formed landscape. 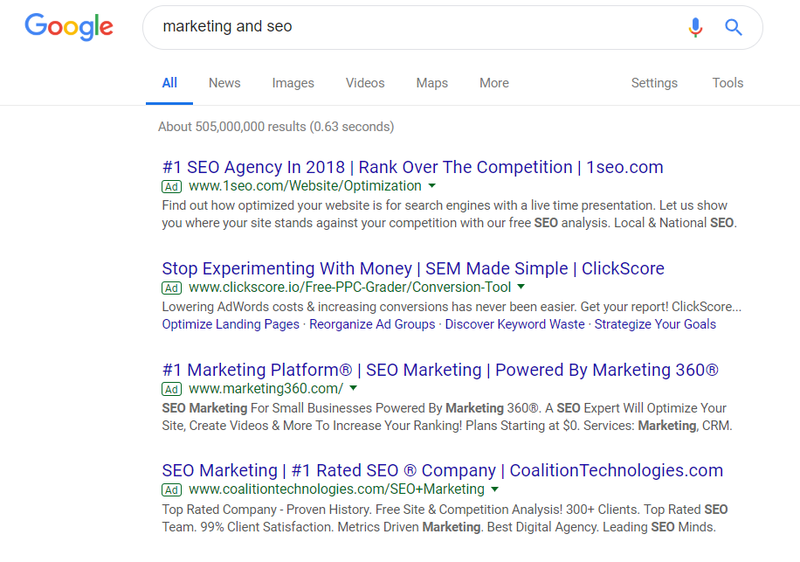 As much as marketers often wish that PPC advertising (and SEO tactics, for that matter) would remain static, these fields are incredibly dynamic. The only constant here is change. When looking into the future of PPC advertising, most who possess a discerning eye can see that both small- and large-scale changes are on their way. Now that we’re in a new year, it is vital for advertisers to understand how the environment will shift so that they can maintain and bolster their campaign results. Ready to see what PPC changes 2019 has in store? Read on. In the past several years, PPC automation functions have gone from little more than experimental features that may or may not improve results to effective tactics for enhancing the performance of campaigns. As a result of the technology’s progress and advancements, Google has seen fit to substantially invest in augmenting its automation choices for PPC advertisers which, in turn, helps to increase the effectiveness of its users. However, to reap the benefits that Google PPC automation provides, it is necessary to generate campaigns in a manner that is conducive to provoking assistance from the algorithms. This means that advertisers must still draft exceptional copy, utilize the proper keywords, target highly relevant audiences and correctly implement conversion tracking. If such steps are handled accordingly, advertisers can hand off many of the more tedious and banal aspects of the process to PPC automation. However, when implemented incorrectly, campaigns can produce not only fruitless results but expensive ones to boot. To begin working toward becoming an automation master, it is wise for users to start small in implementations, analyze the results, take what works and test again. For instance, regarding automated bidding, begin with conservative bids and slowly increase the amount as data gets collected and interpreted. Additionally, while PPC automation features can potentially save a brand loads of time and money, be aware that not all these options are right for every company, and they still work best when supervised by an actual human being. At this time, advertisers are still warned against a “set it and forget it” mentality; however, PPC automation is quickly becoming a standard for which advertisers must not only understand but master. Doing so will allow those who become adept at automation to free themselves from monotonous tasks and focus their energy on more essential efforts that require a human hand. PPC advertising has always been a keyword-driven discipline. However, keywords (particularly short terms) tend to not say much about a user’s intent or the target audience. This can often pose significant problems when bidding on various phrases. This means that SEO agencies could be wasting a fair bit of their ad spend targeting phrases that don’t align with the audience’s intent. Given that Google’s highly sophisticated algorithms have been developed to pinpoint the types of content that users want for a given search, these organic listings are more likely to align with the searcher’s intent than the ads. This divide shows that folks who search for “Marketing and SEO” are more likely to be seeking information on content marketing than SEO services. This separation results in a bit of a mismatch for advertisers. As a result, it is probable that they will generate a small number of leads from the keywords mentioned above. This breakdown is what can make keyword-driven campaigns a bit problematic. Between search volumes, match types, stellar copy, building out conversion-focused landing pages and all the other elements that go into a fruitful ad push, user intent can often get buried in the mix. Moreover, when targeting the right keywords, this doesn’t mean that prospects are in the correct phase of the buying cycle. However, there are solutions to such conundrums, and it lies in the audience itself. Most social media platforms utilize audience targeting as opposed to keyword targeting. While this can be an incredibly useful methodology, it does come with the drawback that users may not be currently searching for what a seller is promoting. This means that advertisers can craft the perfect ad with the exact right messaging but deliver it at the wrong time — thereby failing to earn a click. 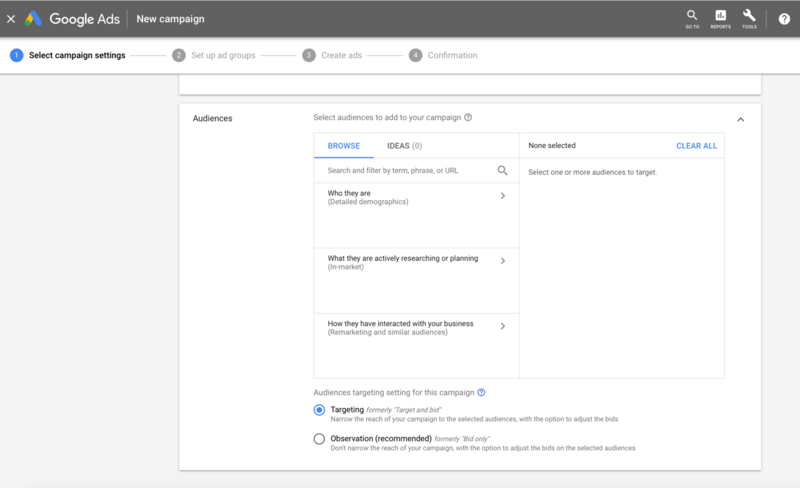 Not only can advertisers take advantage of audience targeting through Google Ads, but they can do the same through Bing as well. Last year, Bing rolled out its In-Market Audiences targeting options which enable users to reach consumers that the search engine has determined to be actively seeking similar products or services to those provided by sellers. Now is the time to begin experimenting with this system, as many advertisers will still be pushing on with keywords, retargeting and other strategies that proved effective in years prior. By getting ahead of the game now, advertisers can gain precious PPC territory dominance for this year and those to follow. Because of advertisers’ lack of focus on mobile optimization, users will often encounter slow load times on PPC landing pages, poor user experiences on mobile, painfully cumbersome conversion processes and various other issues. The fact is that mobile PPC optimization has far-reaching implications outside of the adverts themselves. To properly structure campaigns, promoters must have incredibly mobile-friendly websites, mobile-optimized landing pages and conversion and purchase processes that target the smartphone experience. These are just the bare necessities. This is no longer optional in a world in which Google has initiated a mobile-first index and phones generated 47% of all traffic on Cyber Monday in 2018. Naturally, this begins with mobile-friendly websites and landing pages. The second-most crucial factor in this equation is speed. Mobile users are fickle and if a site doesn’t load with lightning speed, they will move on to quicker sites. For this reason, advertisers would be wise to employ AMP for their PPC landing pages in addition to other mobile speed-optimization tactics. With these essential tasks out of the way, advertisers can begin focusing on how to make their campaigns friendlier for mobile users. The key here is to increase bids for mobile devices and scale back on desktop bids. Doing this will help to drive more mobile traffic, even for search network campaigns. 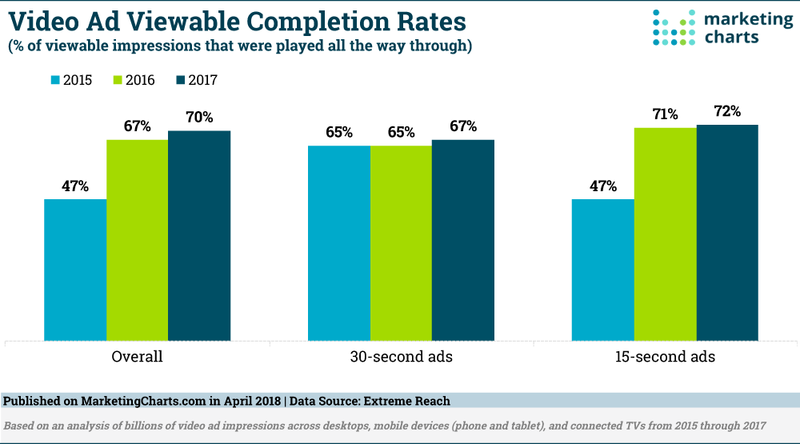 With an increased amount of mobile traffic, advertisers can then begin to experiment with various campaign elements to see what works and what falls flat for this specific audience. 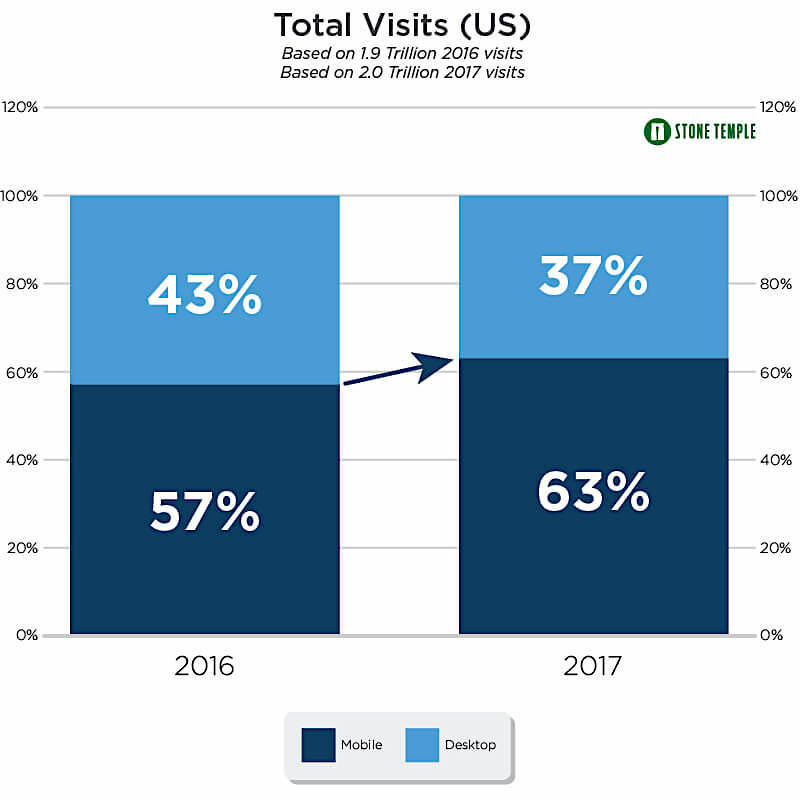 By A/B testing for mobile ads in particular, promoters can get ahead of the curve in what is undoubtedly set to be the most coveted territory of the next decade. Much like mobile, there has been a tremendous uptick in video content over the last several years — with good reason. Not only is video poised to one day dominate Internet traffic and content consumption, but this type of content also has profound impacts on a brand’s bottom line in the here-and-now. For these reasons (and many others), video marketing was a massive driver in 2018. That trend is poised to continue into 2019 and beyond. This is particularly true when one considers that video is the top form of content consumed on mobile. Moreover, as Google continues to make various updates to its video technologies (including vertical displays, closed captioning, video previews in the search carousel, and so on), the content will only further grow in prominence and consumption. While video content can certainly be more expensive and time-consuming than other forms, those who fail to at least begin mastering this discipline will start falling behind as the year progresses. Given that YouTube is the second largest search engine in the world, much of the focus for video PPC advertising will be on this platform. This is a good thing considering that Google has been aiming to support smaller businesses. Use audience insights to drive actions: Intimately understand an audience’s values and triggers to craft compelling video adverts. Get in front of the right consumers: Utilize YouTube’s custom intent audiences (like the previously mentioned targeting tip) to reach audiences who are actively in the market for a brand’s products or services. Multichannel advertising is already a prominent force in the digital landscape; however, omnichannel efforts are soon to take over as the strategy can produce tremendous results. For instance, the Harvard Business Review studied 46,000 shoppers which showed that omnichannel strategies produced greater order values and average lifetime values. Multichannel advertising means what it sounds like: advertising on multiple channels. Where this tactic breaks down is that consumers often encounter messaging that no longer aligns with the buying stage they are in as they move across platforms. Omnichannel advertising, on the other hand, provides a continuous, evolving experience as buyers move across the web. Advertising in this manner helps to move shoppers through marketing funnels more effectively. For example, if a consumer interacts with a lead magnet on Instagram, brands can then serve them up a complementary resource on Facebook, Google or on another destination. Through PPC advertising, businesses can leverage omnichannel strategies to reach prospects again and again in different destinations to move them through a funnel in an organized and efficient manner. An example of an approach that speaks to this notion goes like this: Beginning on Google Ads, target relevant leads with mid-funnel keywords. With a Facebook Pixel installed on the site, advertisers can then target that traffic on Facebook with content that supports or enhances the information contained on the landing page with which the visitors previously interacted. This is one small example of how omnichannel strategies work; however, there are many variations on how it can be implemented. The entire point is to create an integrated, uninterrupted experience across platforms. Start experimenting with ways to utilize tracking technologies and pairing content offerings, lead magnets and special offers to move consumers down the funnel with each interaction they take across digital destinations. Slews of advertisers are content to keep running the same campaigns that worked from the previous year. While this isn’t a bad idea, there must be experimentation with an eye towards the future as the environment is continuously evolving. That means that the ads that work today will likely fail to produce results tomorrow. Take these five PPC trends into serious consideration and start implementing those that make sense for your brand. Starting the process now will help to ensure that advertisers are on the cutting edge of PPC innovation, thereby giving them the advantage when the landscape does ultimately shift.